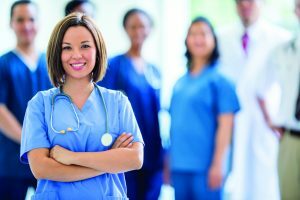 Family Health Centers of San Diego’s Nurse Practitioner and Physician Assistant Immersion Program is a six-month educational program that offers a unique salaried opportunity to improve clinical skills and prepare for a career in community medicine. The program will prepare Nurse Practitioners and Physician Assistants to manage complex care of patients in a multi-cultural, socioeconomically diverse population. Participants will develop the integrative skills needed to practice in a Patient-Centered Medical Home. Please fill out the form below with your name, email address and phone number to request more information about the Nurse Practitioner and Physician Assistant Immersion Program, including how to apply. An FHCSD representative will contact you about your interest. Three positions will be available for the six-month program. Applications for the March 2019 cohort have closed. The immersion program has been placed on hold. At this time, we will not be bringing in a fall 2019 cohort. An update will be provided here when new applications are available. For more information, contact Alexa Walker, Senior Recruiter, Physicians and Advanced Practice Providers, at alexaw@fhcsd.org.